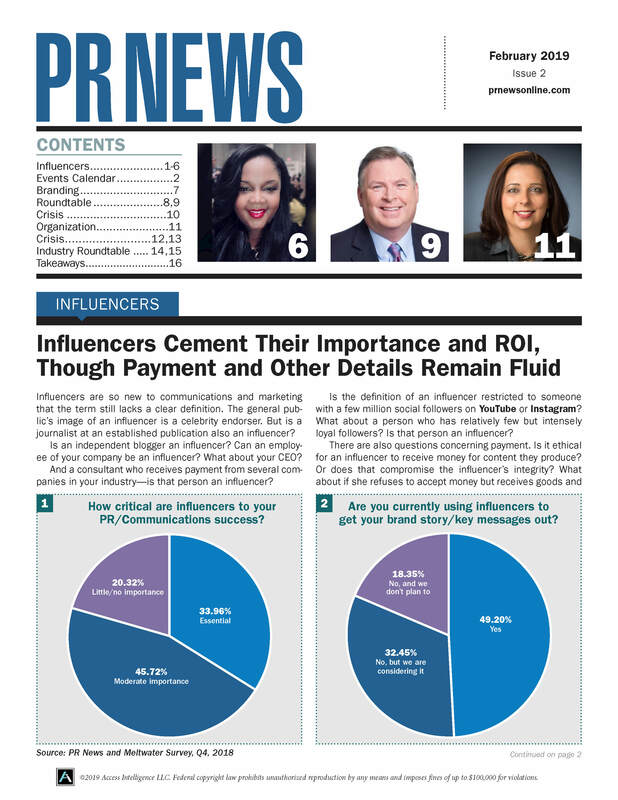 PR News recently asked its community to tell us who should be listed among the top game-changers of PR in the last few years. Here, we look at game-changer Tahoma Guiry. For more, check out the complete list of the 50 Game-Changers of PR for 2017. Tahoma Guiry has perfected the art of building genuine relationships in every venture she takes on. After starting out as a producer at WTLV-TV 12 in Jacksonville, Fla., Guiry’s career in marketing and PR spanned a wide range of industries, including financial, retail, technology, pharmaceutical and health care. Today, she is chief marketing officer at K9s for Warriors, a nonprofit that provides service dogs to soldiers suffering from post-traumatic stress disability, traumatic brain injury or military sexual trauma. In this role, Guiry builds key relationships with the organization’s constituencies while securing media coverage both at the local level and with some of the nation’s top news outlets, including FOX News and CNN. And that focus on relationship-building is internal as well—one of the hallmarks of Guiry's management style is her ability to strike personal connections throughout the ranks of each organization at which she's worked. Throughout her career, Guiry has implemented campaigns that seamlessly integrated marketing and PR to achieve impressive results. She executed an award-winning campaign for Tampa General Hospital that increased positive public perception and led to a double-digit increase in hospital admissions. In February 2017, her work for K9s for Warriors received a “Finny” Killer Content Award presented by Demand Gen Report, and in 2015, K9s for Warriors was honored for Best Use of Social Media at Jacksonville Business Journal’s BizTech Awards. She has also earned two Gold and one Silver “ADDY” awards from the American Advertising Federation, among other accolades. "Life moves so fast—don’t make it go any faster! Slow down, enjoy your present and all the fun it has for you. There’s no need to be in a rush to get ahead or move on to the next best thing. If you’re intentional and genuine with your work, good things will come in time. I’d also say with a huge smile, 'You look marvelous!'" "Evil Knievel called me. I was working on a hip replacement campaign for Tampa General Hospital, and we were using him in the campaign. He left me a voicemail that said, 'This is Evil Knievel—you’ve got my number.' I forwarded it to the entire ad agency!" "Being a traveling correspondent/reporter has always sounded exhilarating and fulfilling to me. I enjoy spreading good and interesting news, and this is a way I could see and share the world with others!"